“Together Again” YOUNGSTOWN – Private funeral services were held on Friday, July 8, 2016, at 1:30 p.m. at the Vaschak-Kirila Funeral Home for John A. Corradetti, 89, who passed away on Wednesday, July 6. 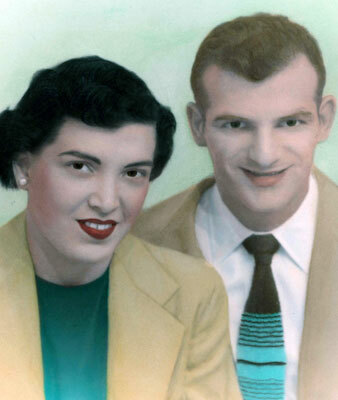 John was born May 7, 1927, in Youngstown, son of Frank Corradetti and Philomena Bernard. He was a World War II Army veteran and worked as a union carpenter. John was a member of St. Christine Church and enjoyed bowling, golfing, and in his youth, playing soccer. Surviving are a brother, Joe Corradetti, and many nieces and nephews.